Located at the highest point in the county while overlooking the Ozark Mountains and Eureka Springs, this Northwest Arkansas Resort Spa continues to be the Arkansas symbol of hospitality. Steeped in rich history the 1886 Crescent Hotel & Spa invites you to "Live the Legend" for yourself while creating lifetime memories for your meeting attendees. Gulf Shores, AL (Oct. 15, 2018) - It is with honor that the publishers and editors of ConentionSouth, the national multimedia resource for planning events in the South, present The 1886 Crescent Hotel & Spa with a 2018 Reader's Choice Award. "Convention South readers and fans have voted to decide the best meeting sites in the South, and it is no surprise to us that The 1886 Crescent Hotel & Spa has been selected to receive our annual Reader's Choice Award," said ConventionSouth Publisher J. Talty O'Connor. "The value in receiving this prestigious recognition is that ic comes from the United State' top meeting professionals who hold events in the South. These planners demand the hoghest level of customer servoce and quality facilities, and they have contributed in determining that The 1886 Crescent Hotel & Spa indeed displays the cimmitment to professionalism, creativity and service they require." A breath taking and crisp room surrounded by arched windows overlooking 15 acres of beautifully landscaped gardens and the Ozark Mountains. Attached to the room is an extended outdoor boardwalk that ends in an open aired gazebo. 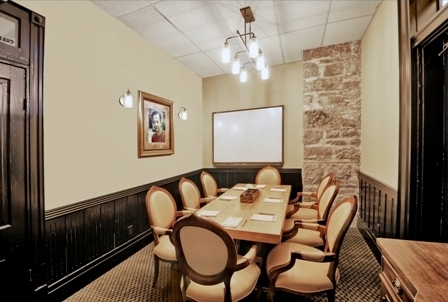 With 1313 square feet, this room is perfect for dinner or a casual meeting environment-great for team building and experiential learning. At first glance "Elegant" is the word to enter your mind. With hardwood floors, beautiful chandeliers and soaring ceilings, this room was built for ballroom dancers to flow freely with no pillars to stand in their way. 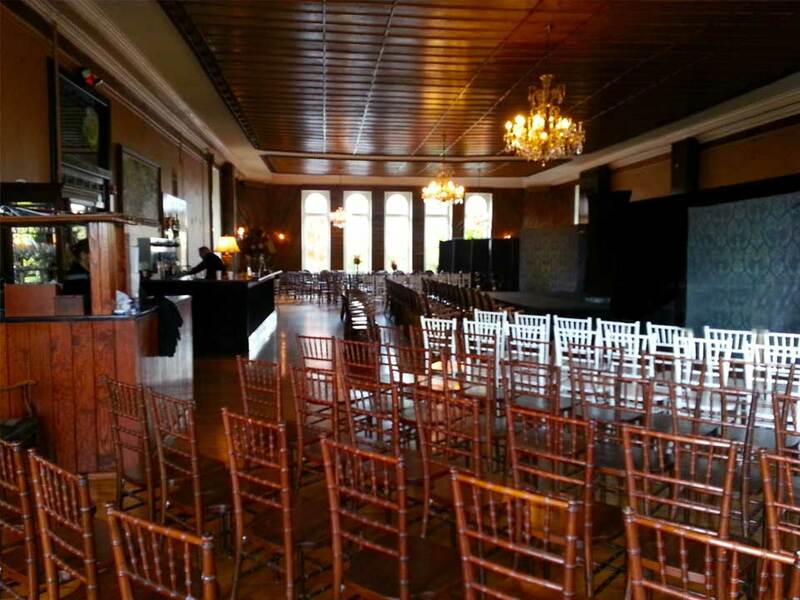 With 2947 square feet, this is an absolutely perfect setting for corporate dinners and lunches. Private boardroom and Veranda for up to 8 Participants. 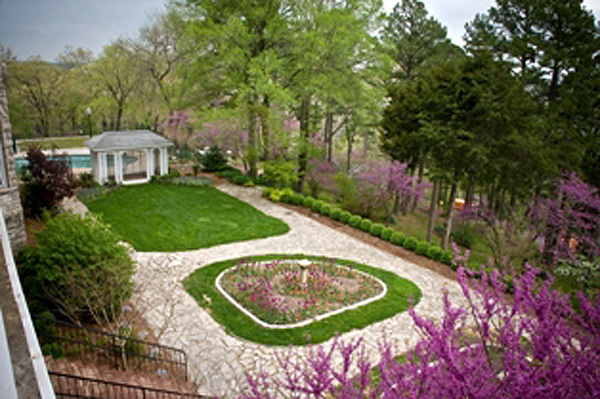 The celebrated East Lawn offers the breathtaking setting for a "Reception on the Green." 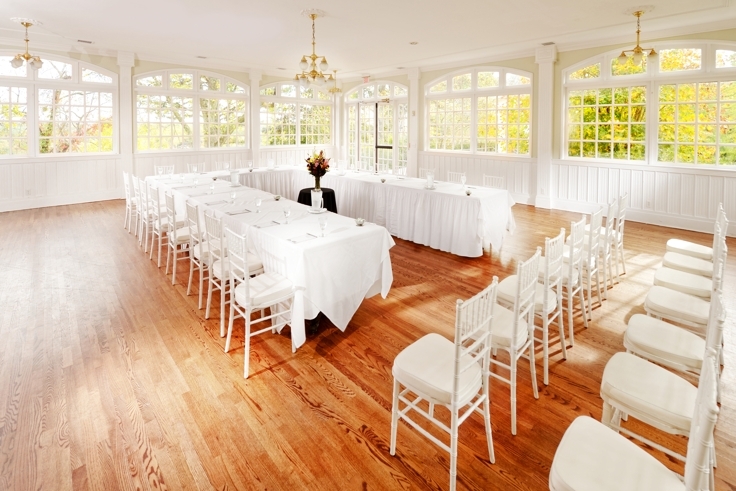 Whether an intimate or an elaborate reception, this location commands attention with its historic gazebo, a garden tent and East views overlooking the Ozark Mountains. 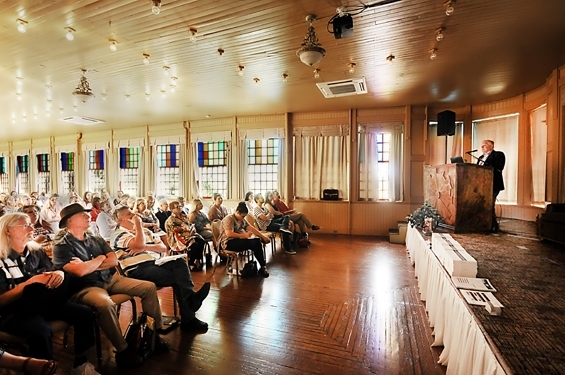 It is most common for events to use the assets of both properties to include plentiful meeting space at our Basin Park Hotel and complelling event space at the Crescent Hotel.